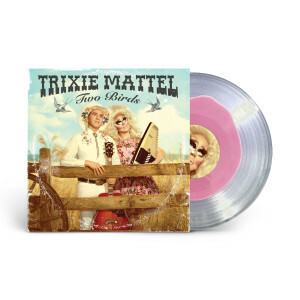 Trixie Mattel, winner of Rupaul’s Drag Race All Stars 3, is releasing her albums Two Birds and One Stone on vinyl and CD. 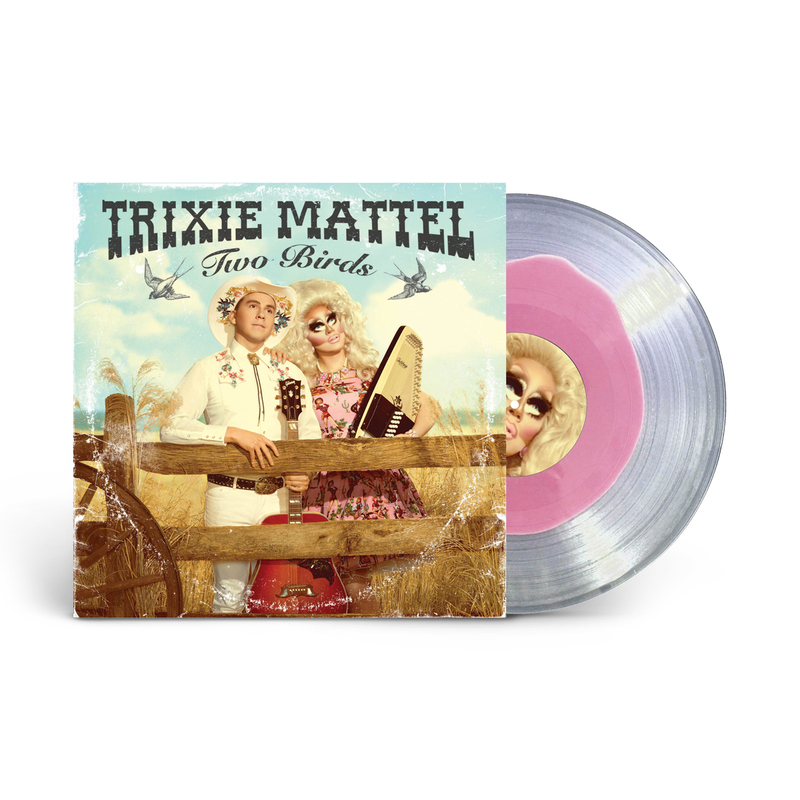 This is the first time Trixie’s albums have been pressed to wax. Every pre-order will be entered to win a signed test pressing from Trixie. Oh Honey! This album is great. I bought it mostly because i just love trixie. You get 2albums and an awesome poster! Oh. F***. ME. UP. TRIXIE. This album is sickening--very cool clear accented vinyl, the sleeve is awesome, great extras, and omg how can you not cry during Red Side of the Moon. I DIE BUT ALSO IT IS GIVING ME LIFE SO HOW CAN I EXPLAIN IT? Amazing! I love all of the extras- It is so nice to have the digital download and the experience of opening and listening to an album, reading the liner notes, etc. Trixie's point of view is one not often heard in this genre, and her storytelling, voice, and instrumentation are beautiful. Totally lovely work. Shipping was pretty quick! I ordered the album for my daughter and she loves it! I ordered it mid December, it was shipped on the 21st and arrived the next day!! (regular delivery) Thank you! Oh honey, we stan a platinum selling folk album!!! The vinyl is just as beautiful as the songs that it plays. Also, LOVE the stickers! ? the sound is not always the best (might be my player tho) but i love these 2 albums so so much so i’m v happy to finally have them on vinyl so i love it ?? Perfection! Great sound quality, cute packaging, stunning design, and of course the music is beautiful! I'm so psyched to have this record! I love all the songs and the translucent vinyl is so cool. Great packaging, great album, great vinyl edition! The double sided poster and stickers included is just what I would expect from Ms. Mattel. Fabulous product all around! This product is so cute and a perfect gift for an Trixie Mattel lover! You get a lot for what you pay for. I love it so much! Great quality. Absolutely love love LOVE! Listened to it the second I received it - love the extras (stickers and poster) its definitely unique compared to the rest of my record collection and I can't wait to see what else ATO Records has to offer!